The TOGAF 9.2 certification training will help you master the core principles, terminology, structure and concepts of TOGAF 9 – the global framework for enterprise architecture (EA). You’ll learn the guidelines required for defining EA and enabling business-IT alignment, more efficient IT operations, better planning and visibility, and more informed decision-making and design. TOGAF training will demonstrate to employers your level of professionalism in architecture principles and processes. TOGAF (The Open Group Architecture Framework) certification is recognized worldwide as a vital requirement for enterprise architects. The Simplilearn TOGAF 9.2 training is designed to meet the Open Group’s requirements and help you pass the exam in the first attempt. You’ll learn the process-oriented approach for architecture development and how to apply your knowledge to provide strategic context to IT projects. Who should take this TOGAF course? How do I become a TOGAF certified? You must pass both TOGAF 9 level 1 (Foundation) and level 2 (Certification) exams to become TOGAF 9 certified. An Exam Voucher will be provided to you with the course, and you may take the exam at your convenience from any of the nearest Open Group Pearson VUE test centers. 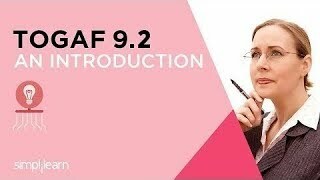 What are the prerequisites for TOGAF 9 certification? There are no prerequisites to take the TOGAF 9 exam. Complete one simulation test with a minimum score of 60%. Your exam voucher fee is included in the price of this course. However, you must procure the exam voucher within six months from the date of course purchase.In the event that an exam price does go up and you have not yet booked the exam, you will need to pay the difference in amount to Simplilearn. Yes, the course fee is inclusive of the examination fee. How frequently does the exam fee change? Exam prices are governed by the certification body and can change. Price changes are typically announced at the end of the calendar year. If the event that an exam price does go up and you have not yet booked the exam, you will need to pay the difference in amount to Simplilearn. Exam vouchers are valid for 1 year from the date of issuance. If you do not book the exam within 1 year from purchase of voucher, you will need to buy the voucher again per the actual price. Can I ask for refund of exam voucher cost once its issued to me? No, exam voucher cost cannot be refunded once it is issued to a learner as we procure this from third party bodies. Simplilearn does not own the voucher policies and cost. How should I prepare for the TOGAF Certification Exam? Your preparation requirements for passing the TOGAF exam will depend on your current role and your understanding of IT enterprise architecture. However, structured training like this course will arm you with the right information to be assured of positive results. What are the levels of TOGAF Certification? The TOGAF certification is conducted in two levels. Level 1 is known as TOGAF 9 Foundation, and Level 2 is known as TOGAF 9 Certified. Level 1 covers terminology, structure and basic concepts of TOGAF 9, as well as core principles of enterprise architecture. Level 2 builds on this functional knowledge using practical scenarios, based more on practical application and analysis. What are the learning benefits of this TOGAF course? As a TOGAF certified professional, you’ll act as a “simplifier” who can uncomplicate complex technical processes. Developers and technical leads get their TOGAF certification to help ensure their career path to architect and senior architect positions. The framework provides a standard architecture development process and common definitions of components and deliverables to be produced when architecting an enterprise. TOGAF is also designed to be flexible so that it can be integrated with a number of other frameworks. 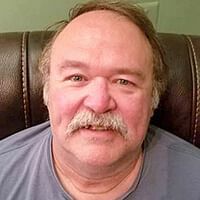 John Ghostley is a former CIO and has 30 years of hands-on experience in IT Strategic Planning, IT Architecture, IT Governance, IT business transformation and IT Service Management. He is certified in ITIL Expert, TOGAF 9, Cobit 5, an ISO 20000 consultant manager. Very impressed with Simplilearn. I do promote it to others. The trainer is doing an outstanding job. Organizing and breaking down a lot of intimidating complex material into edible portions! Looking forward to the case studies and practical examples during sessions as it progresses into a deep dive of the contents. Good introduction session to TOGAF. Industry-wide links provided during session. I appreciate the knowledge and experience level of the Trainer. Trainer's knowledge, pace and his examples were very clear in helping me understand the subject. Thank you again. Nice course and well paced. Good organization of material. Instructor has total command on the subject he is teaching. Excellent presentation and set up. It is one of the best trainings that I've attended. Besides, I took up a class previously from Global Knowledge in the UK and it was a disaster. I'd never repeat that mistake again. I'd highly recommend Simplilearn to everyone. Thanks for being so professional. Just put a headset on and you get professional training. Great experience with live feedback about a complicated subject. The instructor is experienced and very knowledgeable. The course content and mock questions were very helpful for the exam. The trainer conducted the session with a great approach and used excellent method to train us on TOGAF. This helped us to understand, co-relate and digest the complex concept with ease. It was a wonderful experience. Thanks to Simplilearn for coming up with a plan to have different trainers, this help in understanding a concept from different people who are exposed to the same thing in different ways. It would be helpful if there could be a software that would help trainers in drawing faster say like using a pen or pencil in your hand, that makes it easier and saves time during the session... Simplilearn is good, as it highlights what needs to be done in a way that makes a business logical sense and it helps make everyone understand the need to have IT as an integrated component of the business. Excellent course. Material is fantastic and overall delivery was even better. I loved our trainer so much that if there is again an opportunity to attend one more batch with the same trainer, I would love to attend it. My instructor Myra took really interesting sessions and had a unique method of training the class by making it more interactive. She also always confirmed if we understood the concepts. I would like to thank her for her guidance. Mihika Sawant Senior Consultant at Capgemini Technology Services India Pvt. I have enrolled in TOGAF 9.1 training from Simplilearn. It has very knowledgeable faculty. The content and way the session was conducted were really good. I highly recommend Simplilearn. The course materials are structured and are explained in simple language. The way the trainer was very knowledgeable and explained the concepts with proper examples. What is the last date for registration to appear for TOGAF Exam? The examination date can be decided by the candidate, once he or she registers with Pearson VUE. How long does it take to get TOGAF exam results? Usually you will receive notification of your pass or fail status within a few minutes of completing your exam in the form of a printed score report. In addition, you can obtain your score reports from within your Open Group Pearson VUE testing account. Occasionally, if a score report is unable to be printed, you will only receive the electronic copy. A result shown as “pending” indicates that Pearson VUE is still generating the score report, which may take a few hours. I have a TOGAF 9 certification. How do I update my TOGAF 9.1 certification to the current version? The TOGAF Standard, Version 9.2, is an update to the previous version providing improved guidance, correcting errors, improving the document structure, and removing obsolete content. Key enhancements made in this version include updates to the Business Architecture and the Content Metamodel. If you achieved TOGAF 9 certification to the earlier conformance requirements then you remain certified. How do I register for a TOGAF exam session on Simplilearn? Learners need to register on the Pearson VUE website with an exam voucher provided by Simplilearn to schedule the exam. Do I need a background in IT to take this TOGAF course? TOGAF is a framework for enterprise architecture that provides an approach for designing, planning, implementing, and governing an enterprise information technology architecture. An IT background is not necessary to take the exam. If you don't have an IT background, our training will help you understand the course material better and simplify the journey towards being TOGAF certified. Will my TOGAF 9 certificate expire? TOGAF certification is valid for lifetime and doesn't need any renewal. What if I fail the TOGAF Exam? If you fail the examination, you need to wait at least one month to retake the exam. You will need to pay additional fees to retake the TOGAF exam. Who are the instructors for the live classroom training? All of our highly qualified trainers are TOGAF 9 certified with more than 14 years of experience in implementing TOGAF framework. Yes. The exam fee is included in the course. An Exam Voucher with one year validity will be provided with the training. After successful completion of the training, you will be awarded the course completion certificate. Once you clear the exam you will then receive the TOGAF 9 certification from The Open Group. Yes, we do help you in finding the nearest Prometric Centre for your exam. How many questions are there in the TOGAF certification exam? Online classroom training for TOGAF 9 is conducted via live streaming by a TOGAF 9 certified trainer with over 15 years of work experience. The class is attended by a global audience to enrich your learning experience. All of our highly qualified trainers are ITIL-certified, with more than 15 years of experience in training and working in the IT domain. Each of them have gone through a rigorous selection process which includes profile screening, technical evaluation, and a training demo before they are certified to train for us. We also ensure that only those trainers with a high alumni rating continue to train for us. Listed here are some broad aspects of how TOGAF can benefit organizations. Why Should I Get TOGAF Certified? For efficient utilization of the TOGAF framework, knowing how to beneficially implement TOGAF will prove profitable for organizations that wish to adopt this framework in its functioning, and TOGAF certified architects will continue to remain in high demand. 1. A certmag.com survey ranks TOGAF in the ninth position among the top 20 highest paying certifications in 2015. This is not surprising considering such organizations as IBM, HP, Oracle, Deloitte, Capgemini, CISCO and other leading giants are implementing TOGAF® methodologies to transform their businesses, thereby increasing the job opportunities and the subsequent demands for TOGAF certified architects. 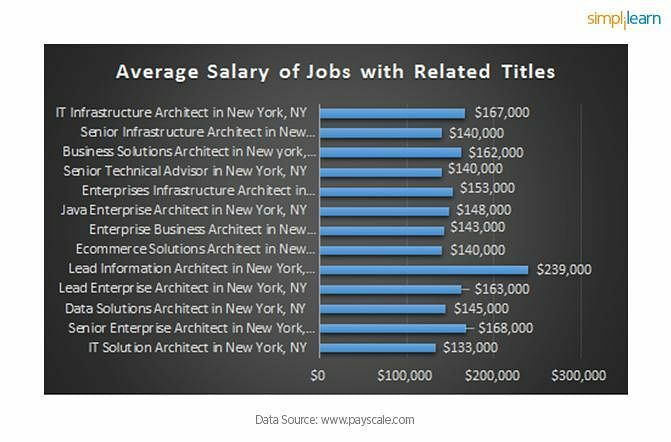 Professionals with a TOGAF certification are among the highest-paid professionals in the IT industry. 3. A TOGAF certification enables professionals to acquire specific knowledge about the standard framework and methods of enterprise architecture and helps validate their proven knowledge of the framework. 4. The spectrum of skills that professionals can build and develop through TOGAF certification is also vast, and includes: business skills comprising of business cases, processes, strategic planning, Enterprise Architecture skills comprising of modelling, system integration, applications and role design, Project Management skills, certain legal knowledge into the data protection laws, contract law, procurement laws, etc., and also some of the generic skills such as leadership, team-building and soft-skills. Till when can I purchase exam voucher from Simplilearn? Your exam voucher is included in the price of this course. However, you must book your exam within one year from the date you purchased this course. In case of any change of exam fee by the certification body within the one year, you will be liable to pay the difference of amount to Simplilearn. If you did not book the exam within one year from purchase, you will need to buy the voucher again as per the actual price.